Calendular Oil: Clarifies and conditions the skin. Lavender Oil: Conditions the skin. Rosemary Oil: Invigorates and conditions the skin. Chamomile Oil: Calms and soothes the skin and is especially beneficial for sensitive skin. Vitamin A: Improves the skins's elasticity, texture and tone. Vitamin E: Increases moisture content of the skin's epidermis and makes the skin softer, smoother and more suuple. 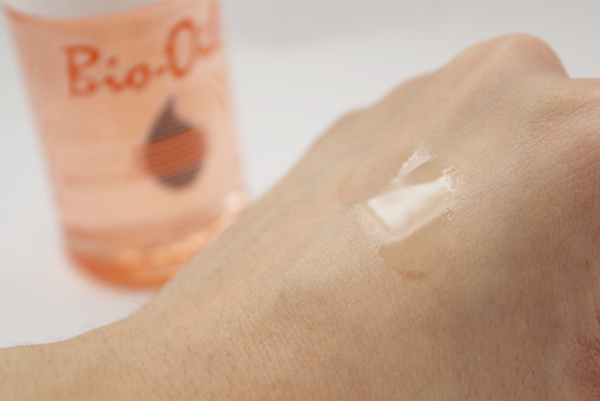 For many of us who feel that oils just sit on our skin, lie there forever, make us greasy and then, give us clogged pores... Well, Bio-Oil spells a different story. This oil is going to sink into your skin, instead of sitting on it. And the secret to this lies in the addition of the PurCellin Oil. The PurCellin oil is a breakthrough ingredient that 'reduces the consistency of Bio-Oil, making it a rapidly absorbed 'dry' oil that delivers the natural plant oils and vitamins into the skin where they are most needed'. The 60ml bottle is slightly bigger than a palm. 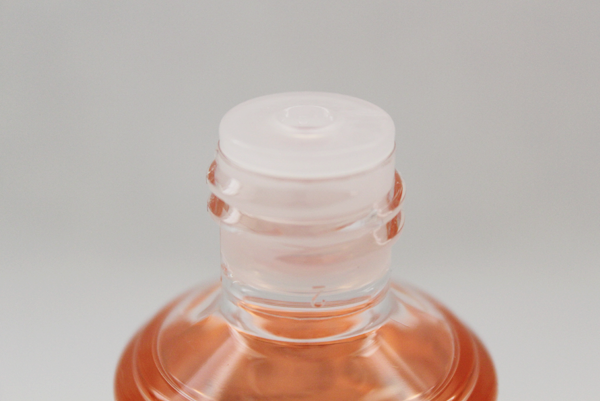 The oil is poured out easily from the opening on the top of the bottle and it is easy to 'dictate' the number of drops you want. However, I find that some oil always gets onto the area around the opening. 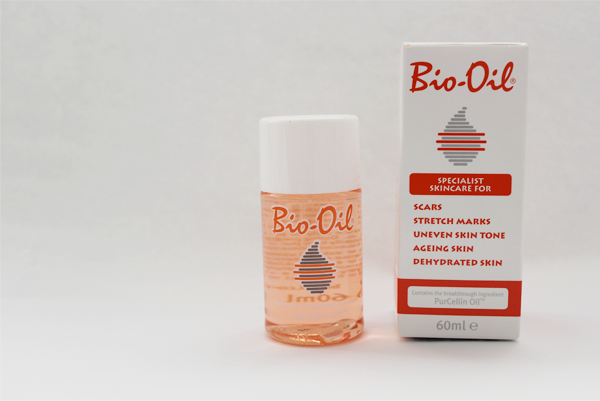 For the past month, I have used Bio-Oil primarily on my body and especially on a scar on my right leg which I got from shaving (Epilate, ladies! Ditch the blades! I practically shaved a strip of my skin off. Literally. It was sitting in between the blades of my pink shaver, mocking me.). I used about 2-3 drops each for my neck, arms, stomach and legs and a single drop on my scar alone. And these days, I find my skin looking and feeling a lot happier. The skin tone on my arms is pretty uneven; there are dark patches all over because I don't tan evenly (And hence, never ever tan again.). They are slight but noticeable. But they have lightened quite a bit with Bio-Oil, something which I wasn't really expecting. 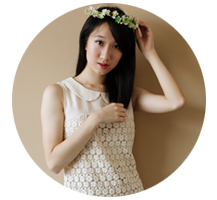 My skin also feels smoother and has like a 'spring' to it. My elbows aren't dry anymore, even when I don't apply the oil. The unfortunate scar on my leg is still visible but it has lightened quite a bit too, with the top being a lot fainter than the bottom. I reckon you will see quicker and more obvious results on fresh, superficial scars but for old and deep ones, you do need to be more patient (A 3-month long, twice-daily application is recommended in order to see results.). However, Bio-Oil seems to be heavily scented and right at top of its ingredients list is Paraffinum Liquidum, which is Mineral Oil, and that's why I draw the line when it comes to face application. I really wish there was a version that came without the addition of fragrances because with all the natural plant oils in it, it should have a pleasant scent on its own. As for mineral oil, there are 2 camps where the benefits and dangers of it are concerned. It's actually found in many of our products and it's really up to you to decide if you are for it or against it. Bio-Oil can be found in Watsons at $15.50.